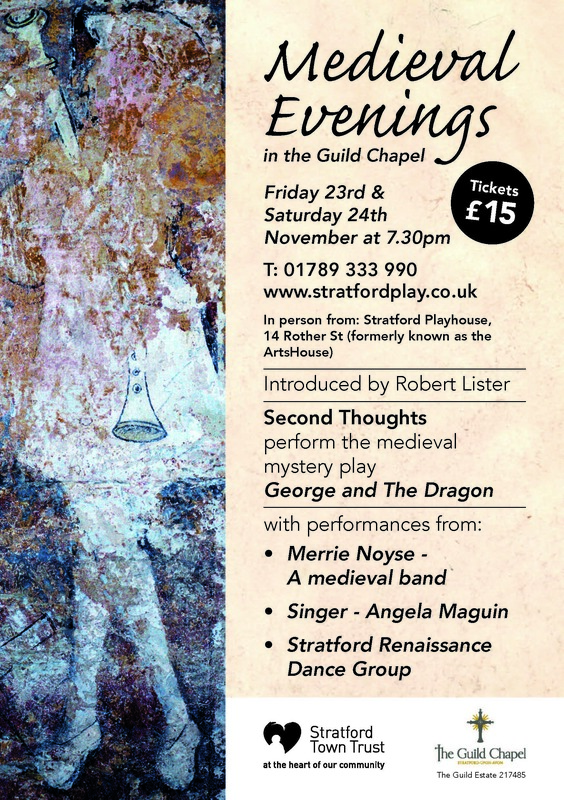 THE GUILD Chapel will be going back to the medieval period later in November with two special evenings of music and performance. They will take place on Friday 23rd and Saturday 24th of November, at 7.30pm. Introduced by actor Robert Lister, the ‘Medieval Evenings’ will see Second Thoughts staging the medieval mystery play George and the Dragon. There will also be performances from Merrie Noyse, a medieval band, singer Angela Maguin and Stratford Renaissance Dance Group. 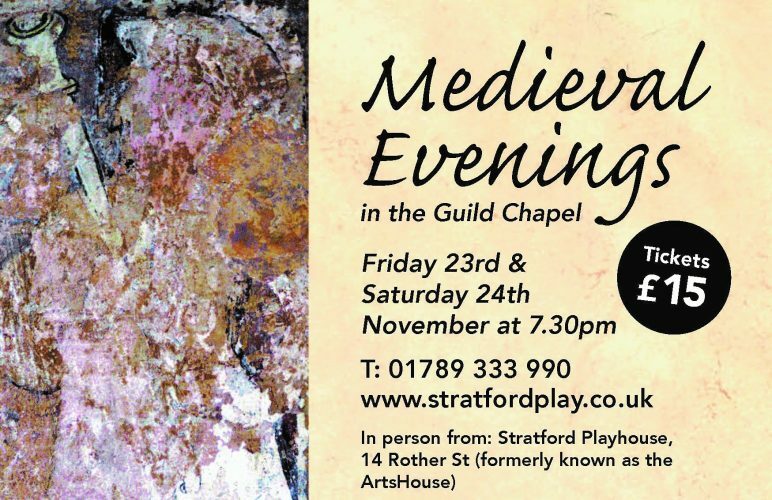 “These two very special evenings promise to be really atmospheric, transporting us all back to the medieval period when the Guild Chapel would have been absolutely central to life in Stratford,” Pippa Brook, event organiser and Volunteer Coordinator for the Guild Chapel, said. 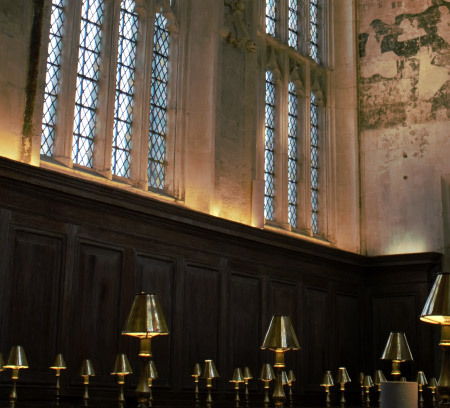 All proceeds will support the Guild Chapel and the ongoing conservation of its medieval paintings and past.